Declassified by President Donald Trump and published by the committee Friday over strong objections by Democrats, the DOJ and the FBI, the memo lays out the origins of the warrant to spy on Trump adviser, Carter Page, in the dossier funded by Hillary Clinton's campaign. The so-called Steele dossier “formed an essential part” of the FISA probable cause order obtained by the FBI from the Foreign Intelligence Surveillance Court (FISC) on October 21, 2016. The warrant was extended three times, also on the basis of the Steele dossier. “Then-director James Comey signed three FISA applications in question on behalf of the FBI, and Deputy Director Andrew McCabe signed one,” the document says. Then-Deputy Attorney General Sally Yates, then-Deputy AG Dana Boente, and DAG Rod Rosenstein all signed one or more FISA applications on behalf of the Department of Justice. Comey testified in June 2017 that the Steele dossier was “salacious and unverified.” Yet McCabe himself testified in December 2017 that no FISA warrant would have been sought without the dossier, according to the document. Rosenstein is currently the deputy attorney general, who is in charge of all aspects of the Russia investigation after AG Jeff Sessions recused himself due to potential conflicts of interest. Yates was famously fired by Trump in January 2017, after she defied his executive order of a temporary travel ban. McCabe abruptly stepped down Monday, taking all his leave prior to his official retirement in March. “Neither the initial application in October 2016 nor any of the renewals disclose or reference the role of the DNC, Clinton campaign, or any party/campaign in funding Steele’s efforts, even though the political origins of the Steele dossier were then known to senior DOJ and FBI officials,” the memo notes. Steele’s work was paid for by Fusion GPS, an opposition research firm retained by the Clinton campaign in April 2016 via the Democratic National Committee and the law firm Perkins Coie. Notably, the FISA applications does not mention at any point that Steele was working for Fusion GPS or that the company and its principal, Glenn Simpson, were on the payroll of the Democrats, the memo says. Furthermore, the original FISA application “cited extensively” a September 23, 2016 Yahoo News article by Michael Isikoff - which was based on information provided by Steele himself. While Steele has admitted in UK court filings that he met with Yahoo and other news outlets, the FISA application “incorrectly assesses” that Steele did not provide Yahoo News with the information, according to the memo. Before the FBI severed ties with Steele on October 30, due to his public revelations of his relationship with Mother Jones magazine, Steele had maintained contact with Associate Deputy Attorney General Bruce Ohr. In a September 2016 meeting, the memo notes, Steele told Ohr he was “desperate that Donald Trump not get elected and was passionate about him not being president.” Ohr’s wife Nellie worked for Fusion GPS at the time. Though Ohr provided the FBI with all of his wife’s research, the memo says, the Ohrs’ relationship with Fusion GPS and Steele was “inexplicably concealed” from FISC. 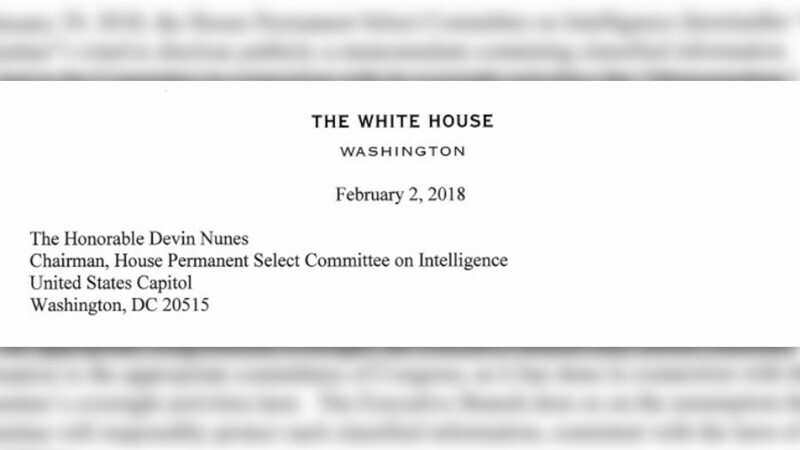 While the FISA application relied on Steele’s “past record of credible reporting on other unrelated matters, it ignored or concealed his anti-Trump financial and ideological motivations,” the memo argues. The very last point of the memo notes that the FBI counterintelligence investigation of the Trump campaign was initiated by FBI agent Peter Strzok in July 2016, based on “information regarding… Trump campaign adviser George Papadopoulos.” Yet “there is no evidence of any cooperation or conspiracy between Page and Papadopoulos,” the memo notes. The memorandum is dated January 18, and its classified version was available to members of the House of Representatives. On January 29, the committee voted along party lines to make the memorandum public. President Trump approved its declassification on Friday. 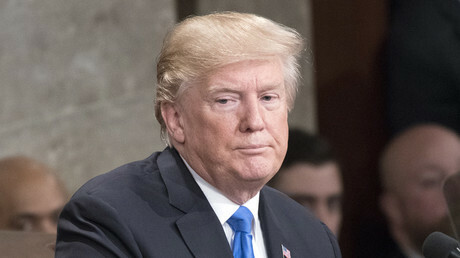 “I think it's terrible, if you want to know the truth," Trump said about the contents of the memo, after approving its publication. “I think it’s a disgrace."